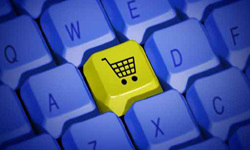 Shopping carts is a vital e-commerce operational element for online merchants and web stores. Choosing a right shopping cart for your web site can be complicated, because so many options are available out there. From Magneto to PayPal, with so many choices, you need to work out which option will work fine according to requirements of your business today as well as tomorrow. Choosing any old shopping cart is easy, but finding the right one is a special task. It’s not about finding the best one; it’s about finding the one that’s best for nature of your business. Magneto is a free open source shopping cart having several attractive features. It is a best option for those websites that are seeking an enterprise quality e-commerce platform. It comes along with multi-store as standard, elastic pricing functionality and a hierarchical administration and permissions system to support various users. Magento’s supplementary functionality comes with a price: reduced usability. If you’re looking for the simplest shopping cart, you may find yourself feeling better pleased with another one. Magento also requires more expertise programming skills than others. For smaller operations, the hosting requirements are bulky. 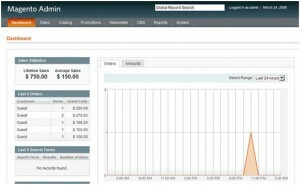 This is free and open source software that powered several online shops. Oscommerce is often complained for having complex code. This can make changes difficult and lengthy. However, there is a strong community that provides free support and its wide range of modules can help you to achieve a best solution. 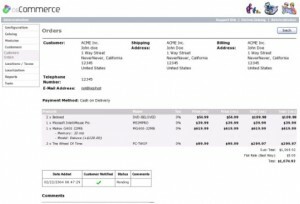 Zen Cart and Oscommerce share similar features. Zen Cart is a standalone project but uses a code of Oscommerce. It is free and open source, but Zen Cart has better capability and direction than Oscommerce. PayPal Shopping Cart is free, but it comes with two main choices. First is processing payments with PayPal (which is also the cheapest option available) and second one is PayPal tries to encourage each of your customers to sign up for a PayPal account. But the second option could damage your conversion rate in the entire process. 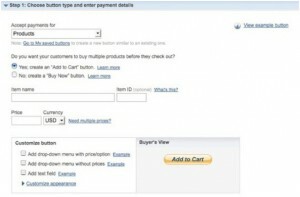 If you choose a PayPal payment option, you do not have to implement PayPal Shopping Cart. Most leading shopping cart options come with a PayPal payment option. 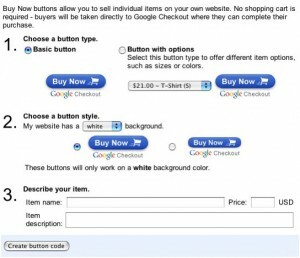 Google Checkout is alike to PayPal in its simplicity and easy implementation process. Generated code can simply be copied and pasted into your website, or you can integrate Google Checkout as a payment option into another cart. 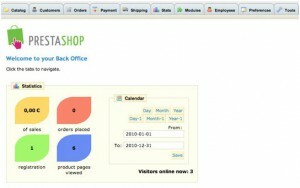 PrestaShop is a free and open source shopping cart that is primarily suitable for small and medium sized businesses. PrestaShop has lightweight, clean and simple code, giving it a major advantage over some of other shopping cart options. The software also comes with a high degree of flexibility around pricing and back office administration requirements. Shopify is a hosted solution that is simple to set up and integrate. This is recommended solution for those who do not want to manage their own hosting and security, Shopify will take care of that on your behalf. This cart comes along with wide range of templates and designs can easily be customized. 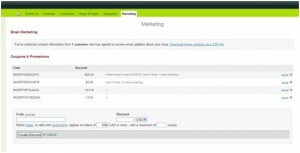 The major disadvantage of Shopify is their pricing policy. Prices range from $24 – $699 per month with a transaction fee of 0% – 2%. According to my views Zen cart is much better option as it is a robust shopping cart solution with number of features including simple installation, currency and payment support.